I’ve touched briefly upon the importance of ‘syncing’ the clay, glaze and kiln furniture temperature requirements in my Choosing a Clay article, but it’s helpful to have some understanding of exactly what happens to the clay on a chemical level during a firing. This will influence your firing schedule and can reduce the number of damaged pieces, particularly during bisques. Potters around the world use a temperature gauge system called ‘Cones’. These cones are little pyramidal do-dahs that are designed to soften and start bending at very specific temperatures. 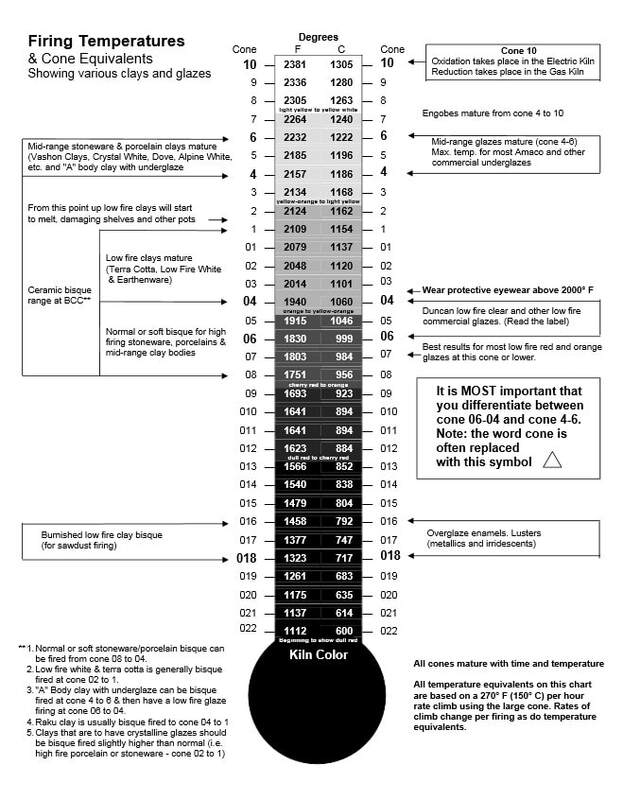 They range from numbers 015 (coolest) to 15 (hottest) and should come with instructions when you buy them, so I won’t go into that here, other than to say it’s worthwhile to use them as a backup and control measure even if you have an electronic thermocouple. When your piece went from being wet to bone dry you may have noticed that it shrunk in size. This is due to the water evaporating and leaving the piece. However, no matter how long you allow your greenware pieces to dry out, there will always be moisture molecules remaining in the raw clay. 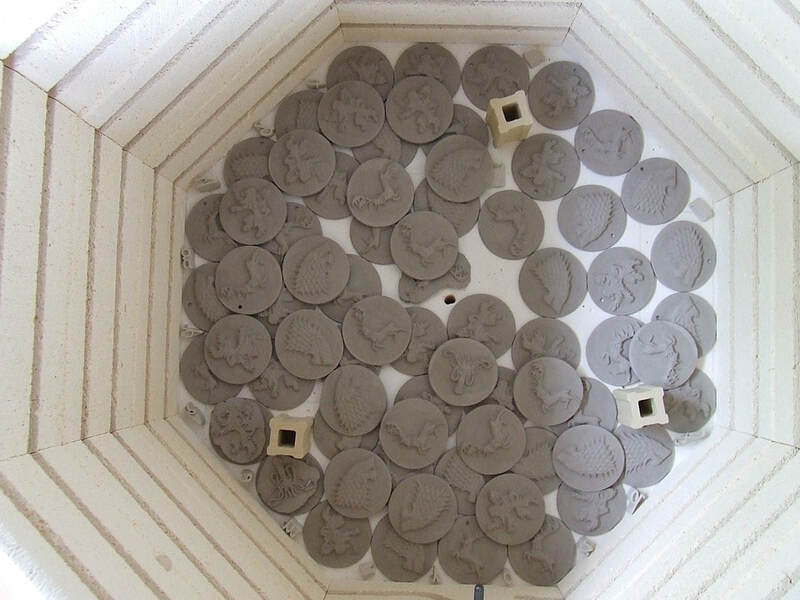 These are forced out within the kiln as the intense heat converts them to steam, but during this process the clay undergoes further shrinkage and can split or even explode if the outrush of steam is too great and too quick. This process begins at 100C/212F (the boiling point of water) and continues up until around 400C/752F, at which point all the water molecules should have left the clay. Due to this process directly influencing clay movement, it’s best to take this ramp slowly and not increase the temperature of the kiln by any more than 150C/302F per hour. 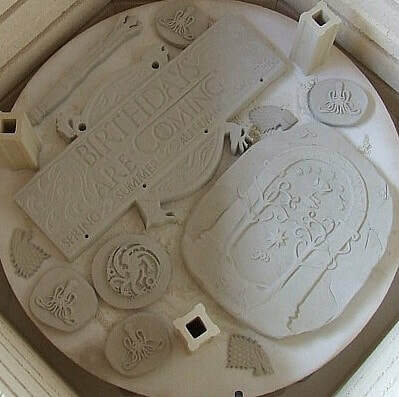 Providing the piece has been sufficiently dried out before being placed in the kiln, and the ambient humidity isn’t too high, this should be slow enough for the clay to safely release all the gas from the trapped water. Also within this temperature range, starting at around 200C/392F, the silica (cristobalite) molecules within the clay will start expanding in reaction to the heat. This is of less concern than the movement that the released water causes, but can still have an impact. It’s possible for a small section of the clay to adhere to the shelf – this is particularly true for large, flat pieces. With the rest of the piece continuing to move around it, this can result in cracks or splits. 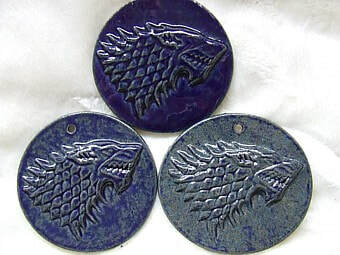 The best way around this is to lay down a thin layer of silica sand or kiln shelf paper upon which your pieces can rest. This will allow it to move relatively freely, although be aware that silica sand is considered hazardous to inhale, so please take sensible precautions when handling it. Up until 800C/1,472F various combustible materials within the clay will be burning off and resulting in ‘off gassing’. Depending on the content you may be able to smell them, but even if not it’s best not to breathe these gases for any length of time and adequate ventilation is a must. 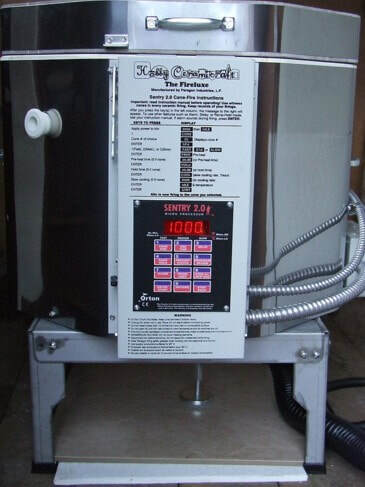 I use a kilnvent system - which I strongly recommend - that’s designed to direct the air from the kiln out of the shed so there’s never a build up, and it also helps to equalise the temperature throughout the kiln and prolong the life of the elements. Also at 800C/1,472F the process of vitrification begins, where the silica molecules begin to fuse together and form what we know as a ‘fired’ piece. By 900C/1,652F they’ve reached a point where they can properly be called bisqued, although this is considered quite low and it’s advisable to take it up a bit higher to ensure that all carbonaceous materials are burnt off, as they can have undesirable affects on your glaze in the gloss firing. However, you’ll want to be careful about taking your bisque firing up too much beyond 1,000C/1,832F because if the silica vitrifies too much your piece will become non-porous which will affect its ability to retain the glaze. In a gloss firing the temperature can be taken up much more quickly than a bisque, as the piece has already been fired. Even though more water will have been introduced in the glazing process, the microscopic channels for it to escape have already been formed so there’s very little danger of a blow-out like you may get in the early stages of a bisque firing. However, at the other end of the temperature scale, the glaze often needs time to become molten and set, binding with the clay beneath. Therefore gloss firings often ramp up quickly and then slow down after around 800C/1,472F, whereas the bisques are the opposite, taking them up slowly through the initial burn off and speeding up towards the end. What temperature you take your gloss firing to will be wholly dependent upon your glaze, your clay and your kiln (including any furniture you may be using). Earthenware clay generally doesn’t go beyond 1,180C/2,156F whereas stoneware will go as high as 1,300C/2,372F. Porcelain is considered extremely high fire and sits between 1,300C/2,372F and 1,400C/2,552F. Some kilns physically can’t reach these temperatures so if you intend to ever fire porcelain it’s best to ensure you have a high temperature kiln. Some glazes require a ‘soak’, which is the process whereby a kiln holds at a particular temperature for a length of time. This will allow the glaze to develop consistency and, depending on the glaze, may be required for the growth of crystals. Others may require a staged cooldown, such as in the case of encouraging a glaze to craze (aesthetic hairline cracks across the glassy surface). You will need to research your chosen glaze and find out exactly what it requires and then stick to it, some glazes are very unforgiving and a few degrees either side of the recommended temperature can mean the difference between a successful firing or a failure. The last thing to keep in mind regarding how the clay reacts to temperatures is the cooldown. A kilnvent system will speed this process somewhat, but it will still likely take longer to cool down than the firing process itself took. I can empathise with the impatience we all feel at this point, eager to see how everything turned out, but impatience at this stage can cause as much damage as a too-fast bisque. Just like the Egyptians pouring cold water over a fire-heated rock to shatter it, letting too much cold air into your kiln while it’s still at temperature will result in the pieces cracking. After a long firing and the amount of effort that went into making them, this is a *heartbreaking* sound, to hear the crack of a piece destroyed by opening the kiln up too early. At the very, very earliest you should wait until 200C/392F before opening the kiln. I personally don’t like to take chances so I wait until it’s sub-100C/212F, preferably around 50C/122F so it’s at a stage that I can handle the fired pieces without burning my fingers. It’s excruciating to sit and watch the clock for that final hour or two, but the alternative is far, far worse.